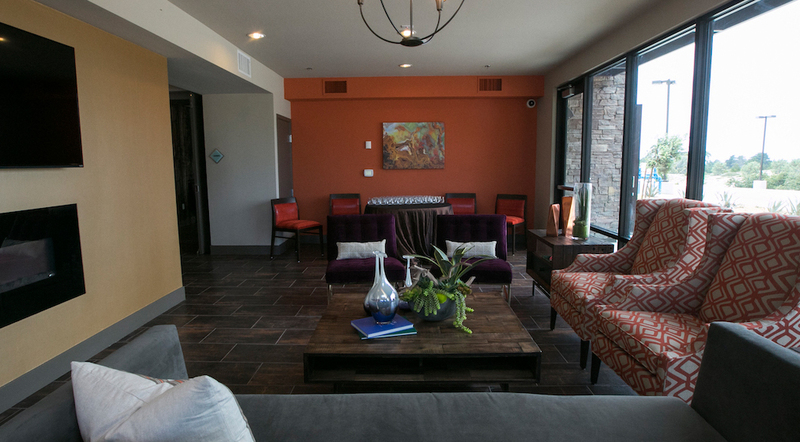 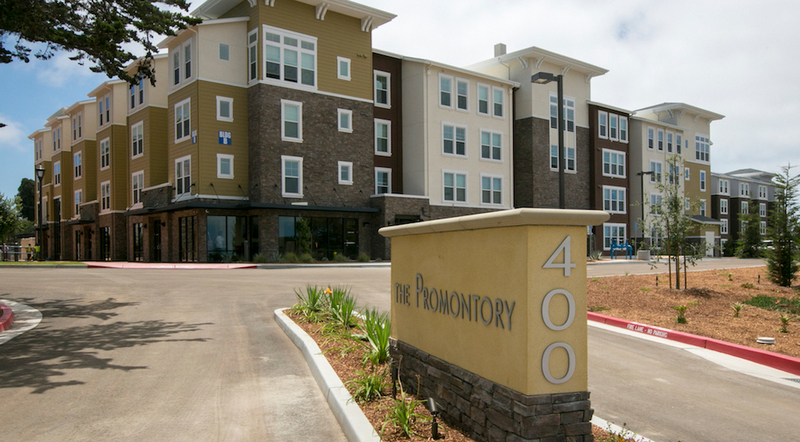 The Promontory provides much-needed student housing in partnership with CSU Monterey Bay. 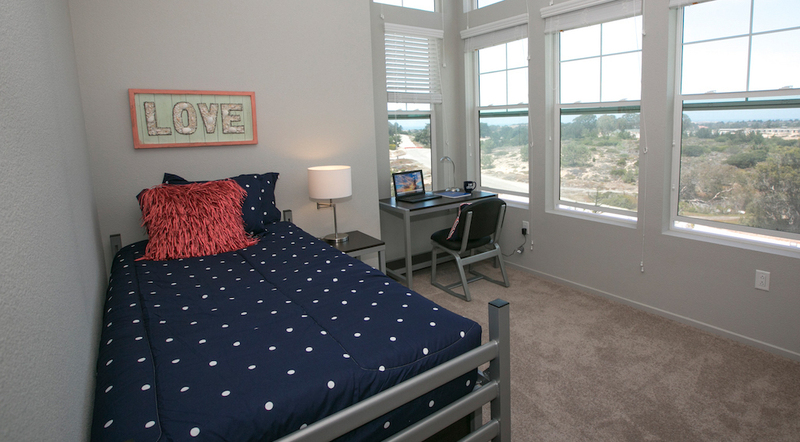 The 8.1-ac. 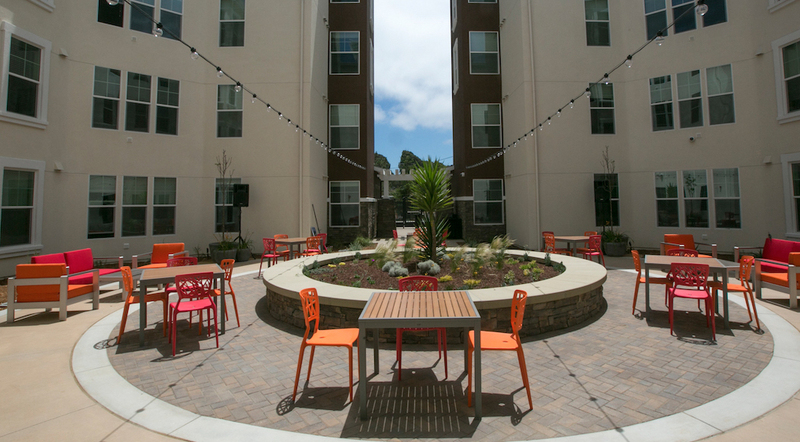 site includes 176 apartments (22 dwelling units per acre) as part of the redevelopment of Ft. Ord. 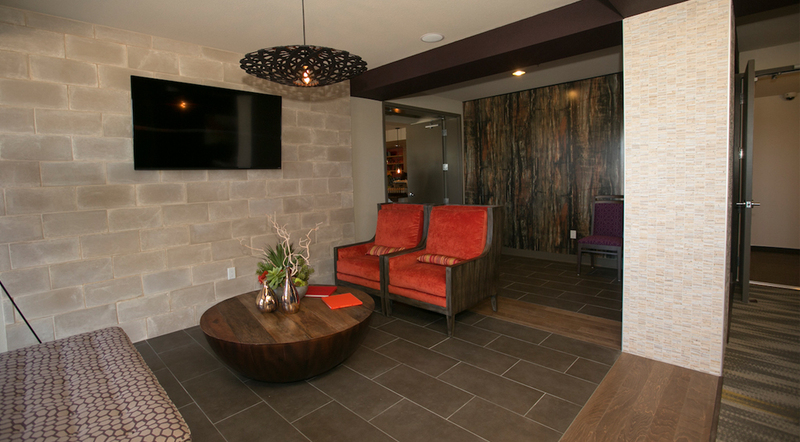 The architectural design is a modern exterior with varied materials and prominent corners. 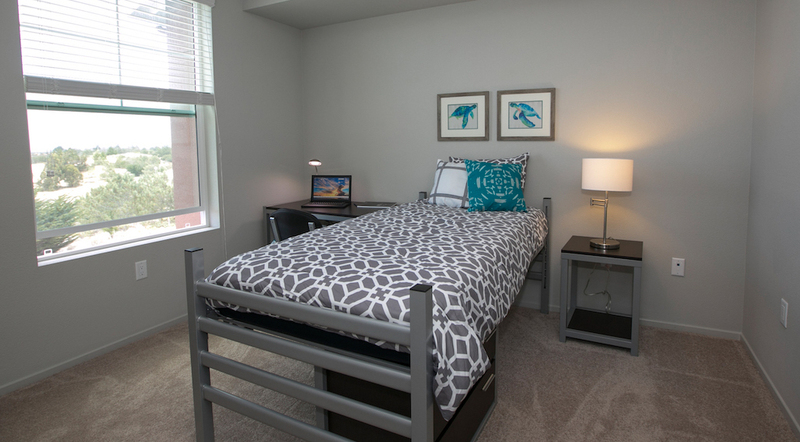 Unit plans vary from 2-4 bedroom floor plans and provides reasonable housing for college students. 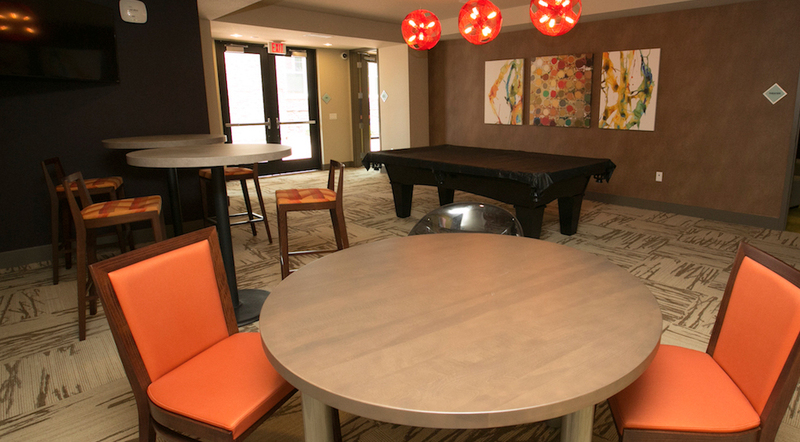 Amenities include athletic courts and pool, a large community room with a computer lab, courtyard with landscaping and barbecue areas, and bicycle storage. 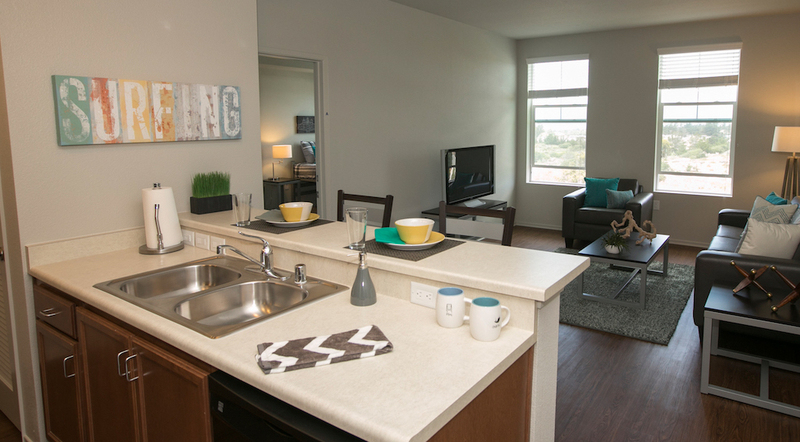 The site is located close to the university and large open space areas for recreation. 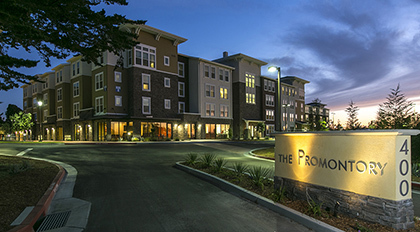 Construction is 4 levels of Type V with 421 surface parking spaces. 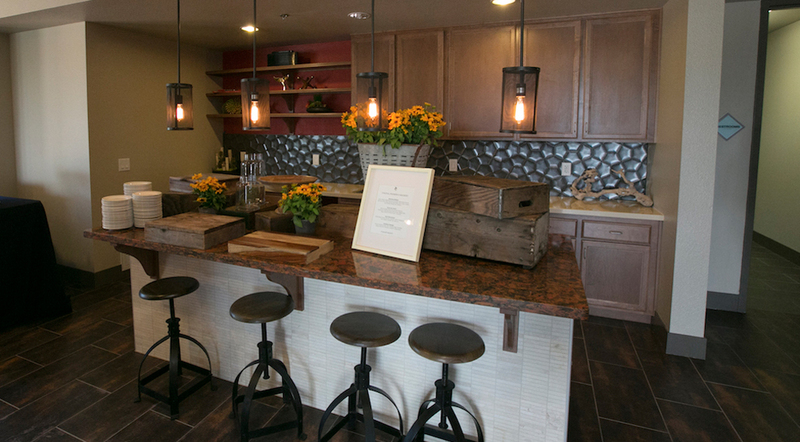 Contractor: AMCAL General Contractors, Inc.